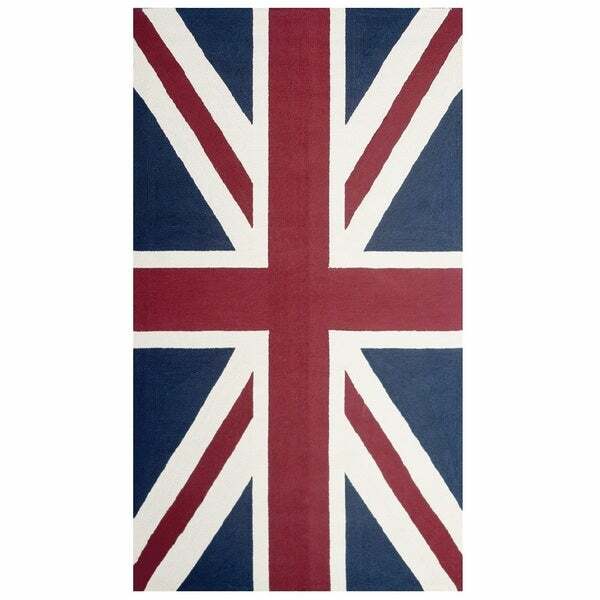 Embrace a British patriotic theme in your home with this area rug in the style and color of the U.K. flag. This handmade polyacrylic rug comes with a deep pile for a soft, soothing touch against your toes. Hand-tufted Contemporary Union Jack Red Pipefish Abstract Area Rug - 3'6" x 5'6"